SMS Scharnhorst was an 11,616 ton armored cruiser of the Imperial German Navy, built at the Blohm & Voss shipyard in Hamburg, Germany. She was the lead ship of her class, which also included her sister SMS Gneisenau. Scharnhorst and her sister were enlarged versions of the preceding Roon class; they were equipped with a greater number of main guns and a higher top speed. The ship was named after the Prussian reformer general Gerhard von Scharnhorst and commissioned into service on 24 October 1907. 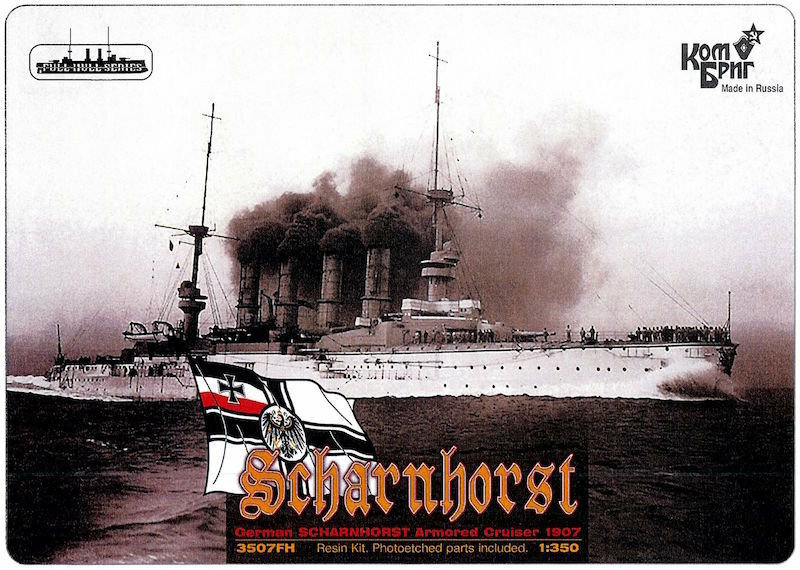 Scharnhorst was assigned to the German East Asia Squadron based in Tsingtao, China, along with Gneisenau, in 1911. They served as the core of Vice Admiral Maximilian von Spee's fleet. After the outbreak of World War I in August 1914, the two ships, accompanied by three light cruisers and several colliers, sailed across the Pacific ocean—in the process evading the various Allied naval forces sent to intercept them—before arriving off the southern coast of South America. On 1 November 1914, Scharnhorst and the rest of the East Asia Squadron encountered and overpowered a British squadron at the Battle of Coronel. The stinging defeat prompted the British Admiralty to detach two battlecruisers to hunt down and destroy von Spee's flotilla, which they accomplished at the Battle of the Falkland Islands on 8 December 1914.